Make sure you choose the right wallpaper for your home, we offer guidance with colour, lighting, scale, preparation and installation. We come to you at your place at a time that suits you. A.S. Création Tapeten AG is the youngest wallpaper factory in Germany and one of the leading wallpaper manufacturer's in Europe today. 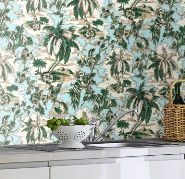 One of the largest wallpaper suppliers bringing wallcoverings to the southern hemisphere. Contemporary German design for beautiful living. BN International has been a Dutch trendsetter for many decades in the business of wall decoration. The largest wallpaper manufacturer in the southern hemisphere, made right here in New Zealand. Farmhouse is a collection of rustic though refined style that has charm and character inspired from the colours and images of this latest deign phenomenon. It embodies all of the elements of farmhouse design; cosy and relaxed, modern, nostalgic, and warmhearted. Made in Korea by Norwall. Wallpaper Call Company are the wallpaper specialists in New Zealand. 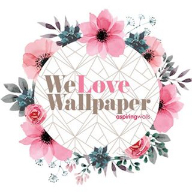 Our mobile showrooms come to you, and we'll offer you a great wallpaper price. © Copyright 2013 Wallpaper Call Company. All rights reserved.